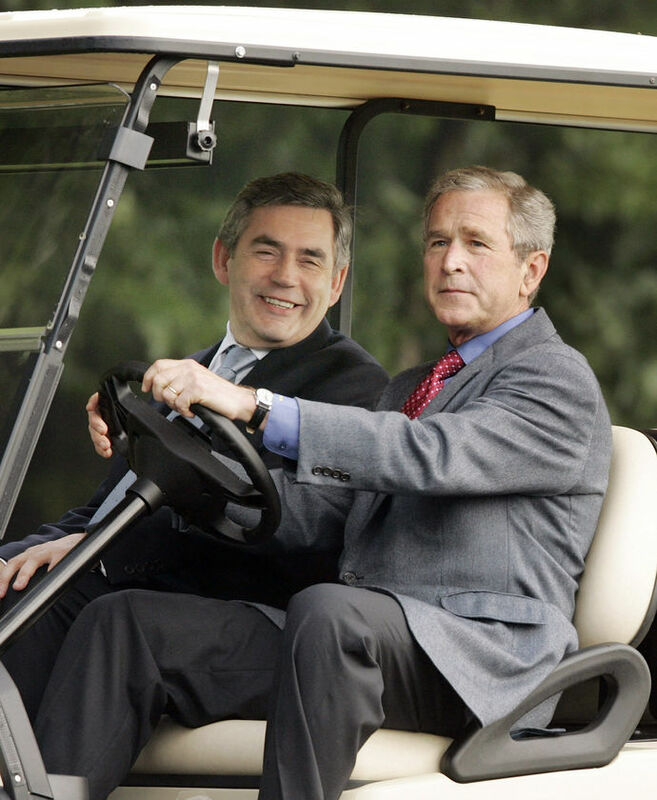 The Labour Government eagerly joined President George W. Bush to invade Iraq. An illegal war. The main ‘justification’ for invading Iraq was a series of lies to Parliament sexed up by the Labour Government. The Labour Party has the blood of hundreds of thousands of people on their hands. Ten years ago in March, Labour joined President Bush in invading. Ten years ago today, President Bush announced it was “Mission accomplished”. That was another lie. The Labour Party stayed the main cheerleader for the hundreds of thousands of deaths and tortures that followed. So much for Labour’s “ethical foreign policy”. Twenty years ago, the Labour Party abandoned socialism and the Red Flag. Ten years ago, the Labour Party chose to stain the Union Flag in the blood of hundreds of thousands instead. Who Are the “Traitors” and “Collaborators”? The Labour Party demonised anyone who opposed the war as “traitors” and “collaborators”. The Liberal Democrats were proud to stand up for international law and do the right thing – even though at the time opposing the war hit us badly in the opinion polls. The Labour Party still call the Liberal Democrats “traitors” and “collaborators”. Now it’s because we’re in coalition with another British political party who isn’t the Labour Party. They howl and shriek daily that trying to fix the economy after the Labour Government spent all the money and much more they didn’t have – in part by spending so many billions on an illegal war – is exactly the same as being Nazis. The Labour Party say this because they remember what they did. And the only way they can cope with their guilt for all that death is to accuse someone else instead. But I remember what the Labour Party did, too. 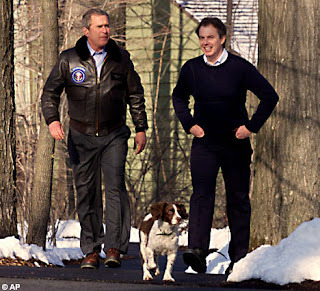 Remember – who was it who joined the coalition with President George W. Bush? 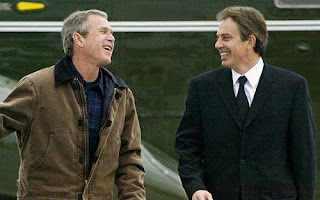 Remember – who was it who led Britain into an illegal war? 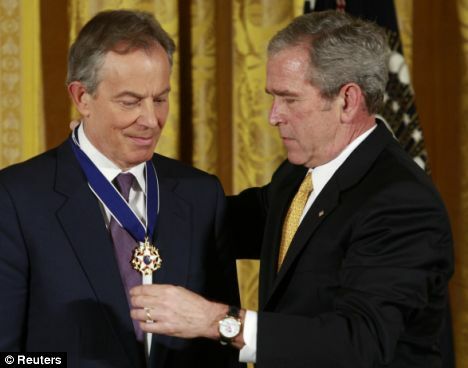 Remember – who was it who involved Britain in illegal torture and rendition? Remember – who was it who lied and lied and sexed up fake intelligence that weapons of mass destruction which didn’t exist could be launched in forty-five minutes? Remember what the Labour Government actually did. And remember what the Liberal Democrats did – we were the only party to oppose the war back when it seemed political suicide to do so. Ming Campbell writes how Britain lost its moral authority. I remember how he was desperately ill and came out of hospital to vote against – so that every single Liberal Democrat MP voted against the war. 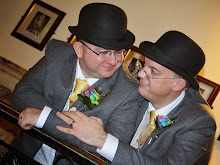 Andy Strange remembers the Liberal Democrats marching against the Iraq War (I remember bringing bags of sweets and feeding them to Shirley Williams and other leading Lib Dems on the front line of the long march to keep them going on a bitter day). 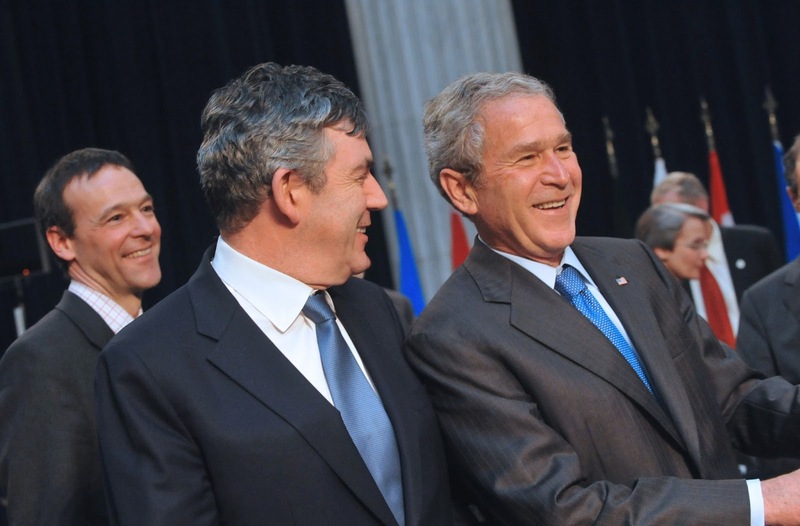 Caron Lindsay reports Scottish Lib Dem Leader Willie Rennie’s speech about the Iraq War. Nick Clegg writes on the lessons of Iraq. 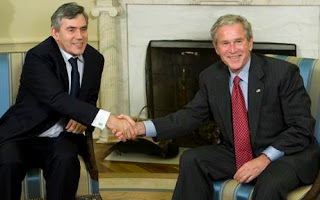 Brave, brave John Prescott, the Labour Party Deputy Prime Minister who screamed “traitors” and “collaborators” then and still screams “traitors” and “collaborators” now admits ten years later that the invasion of Iraq “cannot be justified”. Lord Prescott is the authentic voice of the Labour Party. A bully. A coward. A hypocrite. A moral vacuum who stayed in power at any cost. A man who went along with President Bush in an illegal invasion, lied to support it, attacked those who were against it. And ten years later, ten years too late, Lord Prescott admits it was all wrong. So vote Labour! While brave, brave Ed Miliband worked for the Labour Government as a leading advisor through every second of that time and slimed his way to being a Labour MP on the back of it. To reap the rewards of insider power and become a Labour MP, Ed Miliband supported the war to the hilt. To become Labour Leader, Ed Miliband said seven years too late that he “considered” resigning. So when the Labour Party pretend to be sweetness and light, just remember what they did with thirteen years of absolute power. Remember that war-mongering, evidence-sexing, amnesia-promising, freedom-crushing, LGBT-hypocrisising, rich-brownnosing, poor-taxing, crony-bribe-swallowing shameless Labour Government. And remember that when the USA asked the UK’s help in arming up for a potential war on another Middle Eastern country, this part-Liberal Democrat Government said no. The Labour Party had a choice. The Liberal Democrats had a choice. So do you.